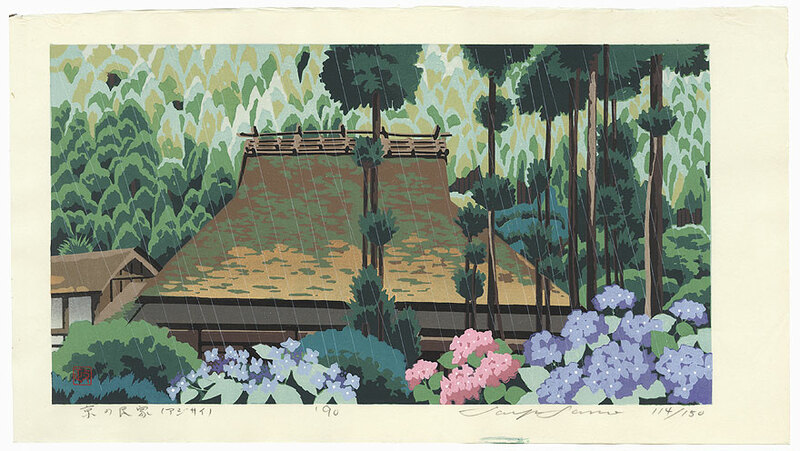 Comments - Lovely view of a village house in Kyoto during a spring rain, with colorful hydrangeas in pink, violet, and lavender blossoming in the foreground. Tall trees frame the traditional thatched roof home with lush foliage filling the background. 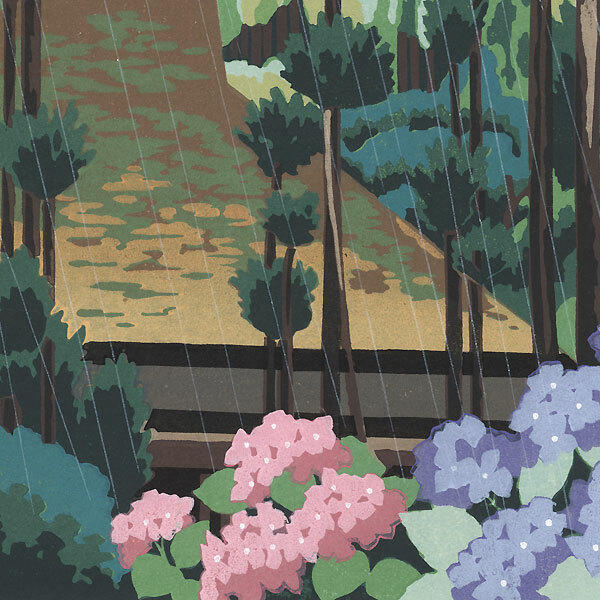 Seiji Sano moved to Kyoto in 1978, where he studied woodblock printmaking with noted artist Masao Ido. A beautiful design and a wonderful choice for display. 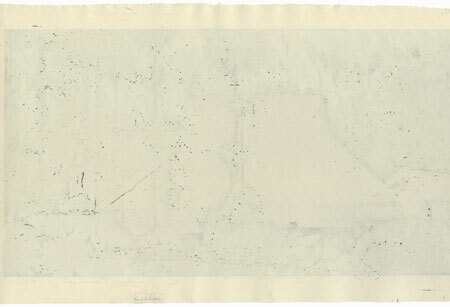 A fine limited edition print, pencil signed, titled in Japanese, dated '90, and numbered 114/150 in bottom margin.